Deb Lillian Boulter was born on Thursday, November 11th, 1948 in Saint-John, New Brunswick Canada and passed away 10 years and 359 days ago on Monday, April 28th, 2008 in Saint-John, New Brunswick Canada. Deb currently rests at Fern Hill. After her passing, Dianne M. has maintained Deb's memorial site since its creation on Thursday, May 29th, 2008 allowing 23,836 visitors to understand the legacy that Deb leaves behind. From the time this site was created, visitors have made 64 additions to her memorial by signing Deb's guestbook, lighting candles and sharing their memories and stories about her, illustrating how much she is missed. 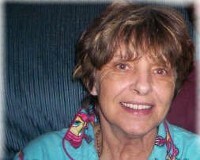 Dianne M., along with family and friends, welcome you to add your stories, photos, condolences and memories about Deb. What will you remember about Deb? Deb was always so sweet and kind. When my mothers mom was ill Deb nursed her so gently and respectful. Thank my dear cousin you made my time in Hampton so much better. Deb was always there for me when I needed someone to talk to. She never judged me. Always made me laugh when I needed to. Miss her so much. Debbie was a wonderful cousin that I will never forget. We know you are rejoicing in Heaven and we will see you again one day. We will never forget your smile and the joy you brought into so many lives.